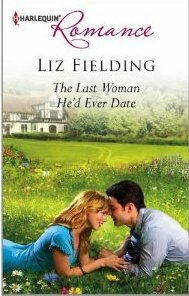 ROMANCE BOOK PARADISE: Liz Fielding on Inspiration and GIVEAWAYS! 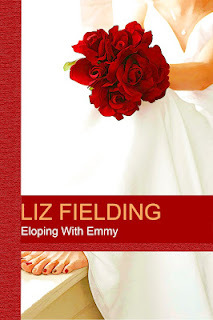 Liz Fielding on Inspiration and GIVEAWAYS! I invited author Liz Fielding to share with us how she deals with her writing space and inspiration and she came with some GIVEAWAYS! I’m a writer and my office is crammed with the tools of my craft. Pens of course, paper, notebooks (I love notebooks! ), my computer, printer, a basket filled with ink cartridges. But these are the nuts and bolts of the job. The hardware. As with my computer, it’s the software that really matters. Where would I be without my Shorter Oxford English Dictionary (the one I have to keep on the top of my stationery cupboard where I can open it, because I can’t lift it). Or my books of names - A Name for Your Baby and the Penguin books of Surnames? There are a stack of research books, some bought for one particular book, some in constant use; Bradt’s Botswana; Chambers Office Oracle (it’s years out of date but it has all those tricky aristocratic forms of address, world time zones and public holidays); the Oxford Dictionary of Quotations; Love Quotations; Plants of the British Isles; a Dictionary of Differences; the History of Ice Cream; The Oxford Dictionaries of Nursery Rhymes, and Proverbs and a load of other stuff (wherever would we be without Oxford!) and a Collins Westminster dictionary that has terrific sections on words “with a story”, abbreviations and foreign words and phrases. There is a ton of writing books I’ve collected over the years (some of them even quote me). There’s Snoopy’s Guide to the Writing Life (for when I need a laugh – and great advice) and Twyla Tharp’s The Creative Habit (for when I need reminding that books don’t write themselves). Then there are the inspirational books; Angela Carter’s Bloody Chamber in which fairy tales are retold – bloodily. Mondays Are Red by Nicola Morgan – reminds me that synaesthesia is a gift I’m blessed with, and which needs to be taken out and exercised on a regular basis. And a favourite book or two for when the muse goes walkabout and needs to be tempted back. There’s a big fat folder stuffed with photographs to inspire me. Great women, good looking men, houses, scenery… Have you ever looked at a photograph and wondered what the person in the picture is looking at? What is going on just out of sight? Oh, then there’s the notice board. It’s where I pin lists, and reminders, pictures of my characters, a calendar, cards from all over the world, photographs of great moments, photographs of my granddaughter and my Mum and Dad and photographs of my children and the Best Beloved, because they are my air. Without them I couldn’t breath. Without them I wouldn’t be the person – the writer - that I am. I know how that feels, I’ve been there and I have written the book I wish I’d had when I was starting out. My purpose is to explain, in the simplest terms — no jargon! — and using examples from my own work, how to make the transition from the story in your head to words on paper. How to write a compelling opening, deepen conflict, write honest emotion, hopefully with a touch of humour to leaven the mix. How to write crisp dialogue, develop the romance, add a little sizzle. It will be useful to anyone who wants to write popular fiction but, before we get down to the nitty-gritty, I’d like to say a few words about romantic fiction in particular. Why readers love it and come back for more. When I write poetry, I have many inspirations: my datebook (to give me the ideas of what I'm writing about); unscramble.net web site for my thesaurus and rhyming words; my Gage Canadian Dictionary so I can thumb through the pages for inspiration; and soft music so that the thought processes don't feel interrupted. All your inspiration material sound wonderful! I'm always using teh Synonym feature in word to get my words! Gosh Nas, there's a synonym feature in Word? I wish I'd known. I have such a messed up brain I'm not always sure where things come from. Sometimes it is from a book I've read. I start thinking, if I wrote it the story would work out this way... I was looking at the 70th anniversary edition of Casablanca at a shop the other day and a story popped into my head. Married couple, gorgeous other guy. Nothing like Casablanca apart from the triangle. In the real world people think I'm funny but that never seems to translate into my poetry or prose. But Fiona, you tell it like it is, which is what I like about you. So if you decide to take a triangle like Casablanca and write a story, I definitely know it would be worth reading! The Word synonym gives more words with same meanings and I love using it. All the best with getting your medical ready for the FastTrack. As writers, we all have our tools. Alike, yet different. My grandparents are the inspiration for the novel ms I am now editing. I first wrote a picture book about their experience in WWII, and after some nudging from an editor and a couple agents I made it into a mid grade novel. 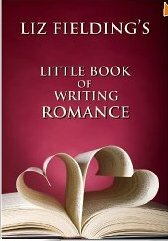 Oh, I have a friend who will love LITTLE BOOK OF WRITING ROMANCE and her birthday is next week. Perfect timing. Totally envy that you write poetry, Laney. I don't use music much, although sometimes I'll put on a classical piece. If the work is going well I won't notice when it's finished. And Casablanca has everything as a story - definitely inspirational. I'm packing up my office for our move at the moment. Keep reaching for things that aren't there! Carol, I guess we all have our own favourite reference books. Sharon, that sounds amazing. I had a whole bevy of aunts who were in service. I absorbed their stories and still have them in my head, but oh how I wish I'd recorded some of them and talked to them more. Another Gemini! Hope she loves it and finds it inspirational, Leslie. Great post, Liz - I love all those reference books and online info is just not the same as leafing through books! I'm often inspired by photos, paintings and music. Awesome post Liz ! I get inspired by so many wonderful things that I cannot narrow it down to just one,so for me it is nature,the ocean plays a big role for me,music,kids ,animals and also books ! All these inspire me to be creative and caring and the books and music inspire me to be a better person to work harder and to life live to the fullest. But if I had to pick just one I would say the books ,the stories always have a lesson to teach me. 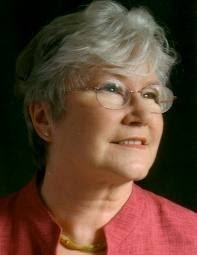 Hi Maria - Most stories are the amalgam of everything that has happened to us, everything we've seen, heard read. Experience moulds us, not just as people, but as writers. Hi Rosemary! Just love my library of books that I can pull down and pour over. One of my favourites is about the great Persian gardens, which I used as a basis for The Sheikh's Guarded Heart. Krystiana - my mother was the greatest influence in my life. A great reader, passionate about education, full of life. Miss her every day. Desere, with me it's the river that is always there in the back of my mind. I lived by the Thames for a large part of my life. There's something about a river, the movement, the life, the riverbank. Love it! I am not a writer, more of a frustrated blogger or you can say if am inspired microblogger. I got inspired with every little thing that happened to me may it be good or bad, really. Loved this comfy, cozy post. I recently acquired a ladder bookcase that ended up to the left of my computer with a few of my favorite things. You are so passionate, Searcher -- desperately important for any kind of writing. Congratulations on your seven years together. Hi Kittie - I'll have to rethink my bookcase situation when I move. I have about 30' of shelving in my study, most of which will be left behind when I move. I have many notebooks with pretty covers. When I'm writing I take breaks to listen to music, watch music videos, and look through Google Images, Tumblr, and Pinterest. Yum! I love reading about your paraphernalia, Liz. It's so exciting to be surrounded by inspirational books and research books and photographs and piles of paper and pens and... Excuse me, I must go write. Hi Deniz - love stationary and hunting down research books. I don't like to write without Google. I know that sounds dreadfully lazy, but it's so quick and easy to type in what I need and see if I'm doing something right. Sounds like a fun collection of writing tools. I use electronic versions of the thesaurus and dictionary. Mostly I just need some quiet and maybe some tea! Cherie, Google has taken so much of the effort out of research. Looking up the spelling of a Welsh town, for instance - and the legends surrounding it - were the work of moments. Formally that would have involved a thirty-mile round trip to a library. Alexia, I think I need an electronic dictionary and thesaurus. Something broader than the little Word "tool". Time to pick a winner! Thanks everyone for making this such a great blog. Lovely to meet old friends and make some new ones. Really enjoyed your comments. I put everyone's name in a hat and got the dh to draw and he pulled out Kittie's name. Kittie, if you can email me at liz at lizfielding dot com with your snail mail addy and your choice of ebook platforms, I'll get your prize to you! Aha at last some one is talking about the Roget’s Thesaurus. I thought I was the only one who is still using it. The present generation does not even know how to look into the dictionary. They have an easy way out "google it"
Thanks to all my special friends for visiting and commenting! And thank you Liz for this fabulous giveaways and for taking time to chat with us here!